Web Design Wonderful Archives - Page 2 of 2 - Go Creative Go! 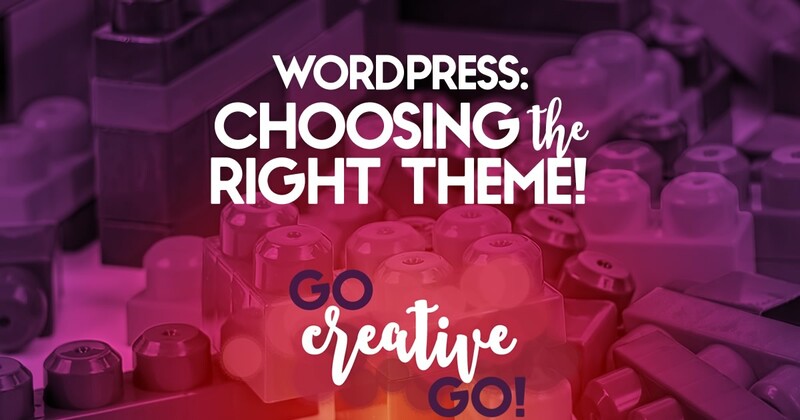 Let’s assume you read our article on choosing between a pre-packaged, out of the box, theme versus custom development and you’ve landed firmly on the side of purchasing a WordPress theme. With all of the themes that are out there, it’s easy for information overload to set in. If you follow these guidelines, you should be able to find a theme that’s a great fit for your business and your message. Try and get a sense of what industry the WordPress theme is geared toward. There are a lot of niche themes out there; themes geared towards bloggers, photographers, lawyers, artists, and so on. If you can find a theme that’s designed for your industry, you’re more likely to find something that does everything that you need it to do. You can also ask others in your field what themes they are using. Remember, if you’re going to purchase a theme, you have to be okay with others within your industry possibly using the same theme you’ve selected. A theme should always have a working demo link. Spend a lot of time putting the demo through the ringer. Check out every page variation and functionality available. While you’re at it, read the theme documentation. That should give you a sense of what options are available for customizing the theme and how difficult those customizations will be. Many WordPress theme resellers provide a review system. If the theme is easy to use or if it’s buggy, you’ll know it pretty quickly from the reviews. Also, if you can, look for examples of other sites designed with your chosen theme. When looking at a theme demo, keep in mind that optimized content has been used for the sake of a nice demo. Looking at some “real world examples” gives you a better sense of how the theme will actually play for practical purposes. Take note of how many times the theme has been purchased. Is the theme a top seller or does it have just a handful of sales? A theme that has been purchased thousands of times provides some peace mind, as you’ll know that others have had success with the theme. Conversely, you’re taking a bigger risk by opting for a theme that is brand new. Colors and fonts are the easiest things to change on a website and most themes have built-in theme options for making changes. Layout is a little tougher to change around and most themes are limited as far as layout options. If you find a theme that generally has a layout you like, you’re on the right track. Picking the right theme is a big deal for your company. Settling for a theme that isn’t a good fit can lead to a lot of frustration and wasted time. Take your time, do your research and don’t jump at the first theme you find. Remember, we can help with all things WordPress from training sessions to custom development. If you run into problems choosing the right WordPress theme, just email us. We’re happy to help you with your research and selection. 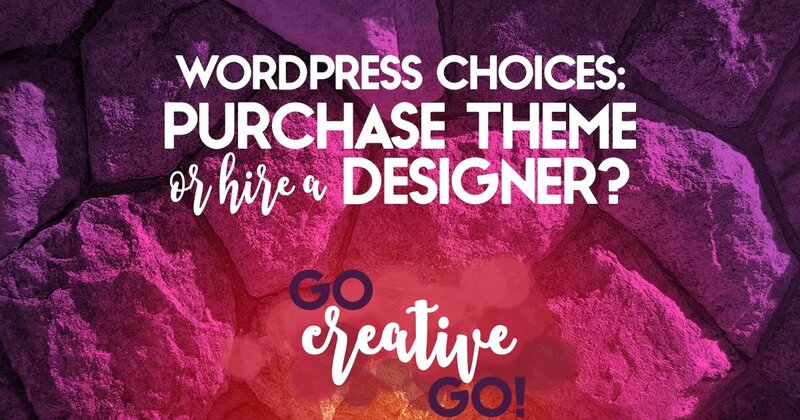 Decision: Purchase A WordPress Theme Or Hire A Developer? 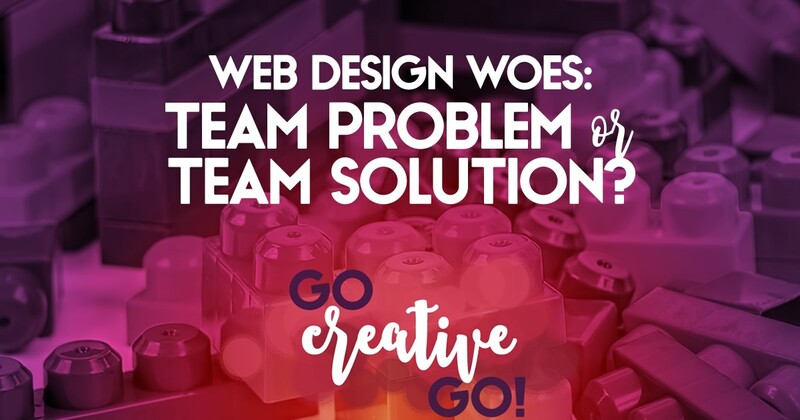 I might be breaking some web designer guild rules by saying this, BUT you do not necessarily need to hire a web designer to create your website. There are tens of thousands of supported WordPress themes out there that can be had for around $50 through sites like Themeforest.net and WooThemes.com. These themes are generally designed for maximum accessibility without the need for extensive coding and design skills/expertise. With a little bit of tinkering, the average computer user can have an attractive, fully functioning web site ready to go without having to learn much if any code. The million-dollar-question then becomes; when to pick an “out-of-the-box theme” and when to shell out to have a developer create something from scratch. What follows are some general guidelines that might help you with that decision. You have the time and patience to devote to conquering the learning curve. Before you even get started with your site, you’ll need to spend a good deal of time researching different themes, reading reviews, and finding the best match (stay tuned for our article about how to choose the right theme). Once you’ve chosen a theme, that theme is likely to have its own theme options. 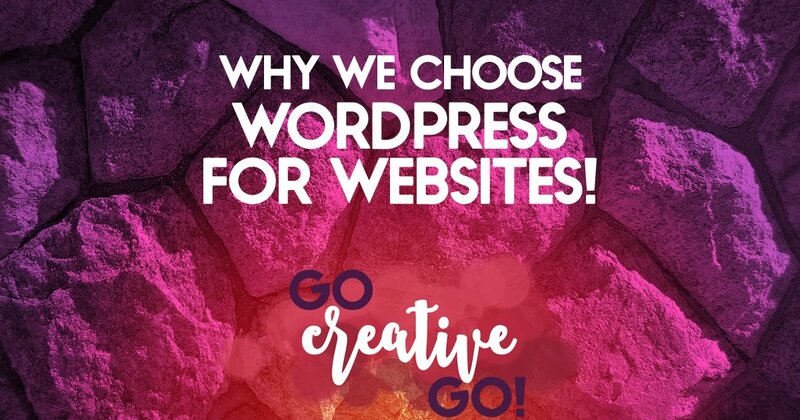 This means that while the general framework of WordPress stays the same, you’re likely to see some interfaces that you’re not familiar with in the theme options. This can often translate to a lot of time spent guessing and testing and even spending time on the theme’s forum asking questions. If you are the type who gets easily frustrated, tread lightly here. You’re flexible with layout. Maybe you have an idea about how your site should look. If you opt to purchase a theme, chances are you’ll find several that are really close, but not exactly what you’re looking for. If you’re committed to the purchased theme, you’ll need to let some of that go. Modifying a theme that someone else has designed can be tricky, even for an experienced developer. Your site is simple. Purchased themes are great for so called “brochure sites,” or sites that are little more than a few pages of text and place to blog. You don’t have the budget for a custom-designed site. Maybe you answered no to all of the above and deep down, you know that you need a custom developed WordPress site. If you don’t have that kind of budget, it’s far better to get a $50 theme and do the best that you can than to have no site at all. You can always hire someone to custom develop your site down the road, or you can get some help modifying the theme you’ve chosen. You’re okay with a website that looks like other sites. If you purchase a theme, it’s a sage bet that you’re not the only to purchase it. Thus, there’s a good chance you’ll eventually stumble upon someone else using the same theme for his/her site. There’s no right or wrong answer here. Some people are really miffed at the idea that their site looks like a bunch of others out there and some people are not bothered by it at all. You have rigid branding guidelines in place. This is often the case for more established companies. They have branding and style guides that they are using elsewhere and need a website that falls in line with brand continuity. In other words, the website needs to have the same fonts, colors and general aesthetics as the summer catalog or the latest ebook. Working from the ground-up, a designer/developer can take style guidelines into consideration and make sure those rules are adhered to from the beginning. Your site is complicated. If the functionality of your site needs to go beyond a few pages and blog, you should really consider a custom site. Advanced functionality such as special user login privileges and searchable databases often require extra coding that may or may not be compatible with a purchased theme. A good developer can take this kind of functionality into consideration from the get-go. You’re expecting a lot of traffic. Purchased themes are built to essentially be Swiss army knives, meaning they are built with a wide variety of functionality that may or may not ever come into play. This can often translate to a lot of extraneous code that can bog down a site’s performance. A custom designed site can be stripped down to only the necessary code, leaving the site lean and quick in the face of heavy traffic. If you’re unsure of which route is best for your site, send us an email. We’re happy to walk you through the process. If you go the route of the purchased theme, we offer WordPress training sessions, evaluations, and day and half-day rates if you need customization or set-up assistance. If you decide that you need to go beyond what a purchased theme has to offer, ask us about about the successes we’ve had in custom designing and developing sites for a variety of companies. http://www.gocreativego.com/wp-content/uploads/2014/08/GCG-pinnable-WP-choices.jpg 1080 735 Mallie Hart http://www.gocreativego.com/wp-content/uploads/2016/07/GCG-sitelogo-new.png Mallie Hart2014-08-06 08:40:162016-09-30 21:03:18Decision: Purchase A WordPress Theme Or Hire A Developer? At Go Creative Go! we choose WordPress (instead of Joomla or Drupal). Let’s get this out of the way right off the bat: there are some occasions when Joomla and/or Drupal win out over WordPress: WordPress is more frequently targeted by hackers (thus requiring more attention to security) and really falls flat as a true content management system, which means it can get difficult to manage large amounts of content. That said, we made the decision early to focus on WordPress for about 99% of our website production. After all, if WordPress is good enough for the New York Times, CNN, and Reuters, we like our chances. It’s a community. While themes and plugins are regularly sold, the WordPress software itself is open source, which means it’s completely free to use and tinker with. WordPress is the most popular blogging platform out there, powering over 60 million websites. A community that size means constant innovation and upgrades. It’s an R&D department that would make Fortune 500 companies jealous. Another bonus that comes from the open source community: there’s a huge network of people eager to help with whatever problems you’re having, from novice to expert. Go ahead and try it! Get yourself in a WordPress jam, post your question on the WordPress.org forums and see how quickly some kind stranger comes to your aid. The back-end is very easy to use. We always tell people, if they can use Microsoft Word, they can probably handle the WordPress backend just fine. It’s a simple, intuitive interface that a novice user can understand within an hour or two. An easy-to-use interface is a win-win: clients are empowered to make changes on their own, so they can enjoy saving time and money on maintenance, while we enjoy not always having to be the gatekeepers for sites, which saves us time. Plugins, plugins and plugins. WordPress’ plugin library is seemingly infinite. Some of them are free; some of them are sold as premium plugins. Regardless of which kind you use, you’d be hard-pressed to find an issue that can’t be fixed by a WordPress plugin. WordPress is integrated with most web hosts. When we first started using WordPress about 5 years ago, the most baffling part was getting the whole thing installed. If you’re not familiar with PHP and MySQL databases, it can be a bit tricky. However, much of that hassle has been alleviated with wizards and “one-click install.” Now, with most hosts, installing WordPress is as simple as clicking a button, then following a few on-screen prompts. Bottom line, if you’re interested in setting up and maintaining your own website, head to WordPress.org and go for it. The pricing is right (you really just need to pay for a domain and hosting), it’s easy to use, and the support network is all there. If you should run into problems, we’re here for you. We offer WordPress training sessions in addition to our design and development services. We also plan to launch a series of video tutorials. We love empowering people to become their own webmaster! Have we wooed you with the wonderful that is WordPress?